Chloromax, a special heavy-duty alkaline, self-foaming formula, composed of surfactants and pure grade sodium hypochlorite, is an effective one-step degreasing cleaner and sanitizer. Use to clean and sanitize surfaces with fat, carbohydrate or protein soils. 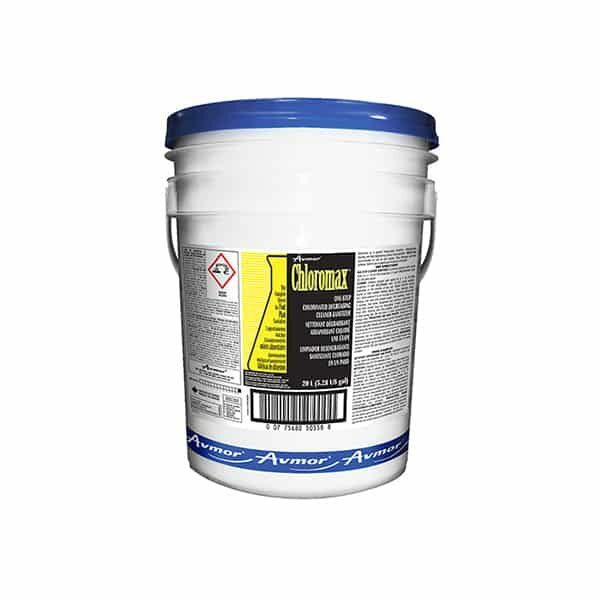 Safe to use on stainless steel surfaces, as well as unpainted concrete floors, ceilings and walls. Safe to use on aluminum if used as directed. ONE-STEP CLEANER SANITIZER: Combine product with warm water in a 1 to 45-100 proportion (1 part CHLOROMAX with 45-100 parts water). 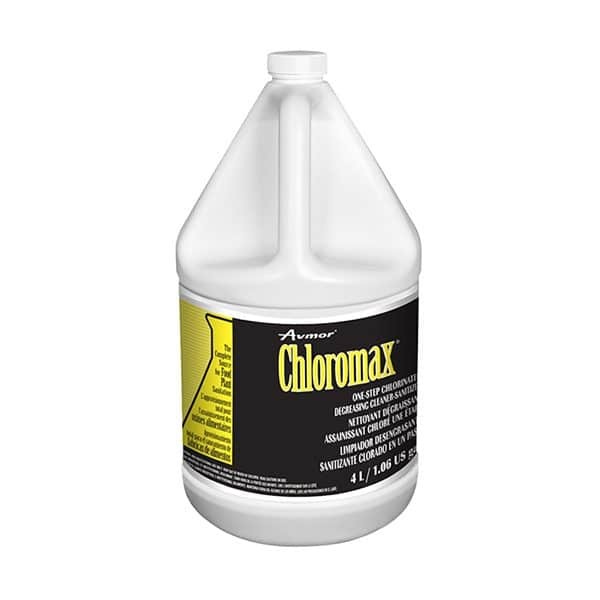 CLEANER: Combine product with water in a 1 to 75-200 proportion (1 part CHLOROMAX with 75-200 parts water), depending on the severity of the soil. Apply solution using foamer or most suitable method (spray, soak, sponge, mop, etc.). Allow solution 5 to 10 minutes of contact time with soiled surfaces and rinse with potable water. For soaking, soak for 5 minutes, then rinse.